From a description of the image that has been pasted to the back: "ZOLO : Designed by Byron Glaser and Sandra Higashi. Made in Indonesia. More than 50 hand-carved and hand-painted pieces can be put together in an infinite number of ways. Anyone over five can play. Non-toxic pieces stored in a pine box." 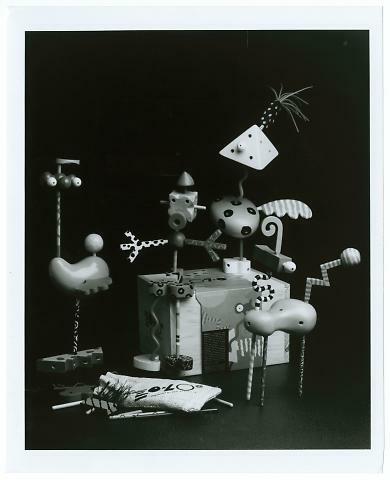 Image depicts several human and animal-shaped toys next to a pine box.